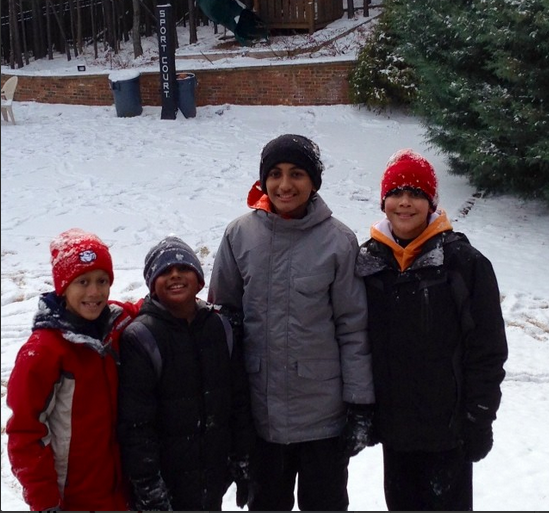 The South has been slammed by an unusual snow storm that has blanketed cities in Austin, Greensboro and Atlanta. A few of your favorite Real Housewives of Atlanta stars weren't going to let a couple inches of snow ruin their day. They took their kiddies and went outside for some fun! Kim Zolciak's son K.J. 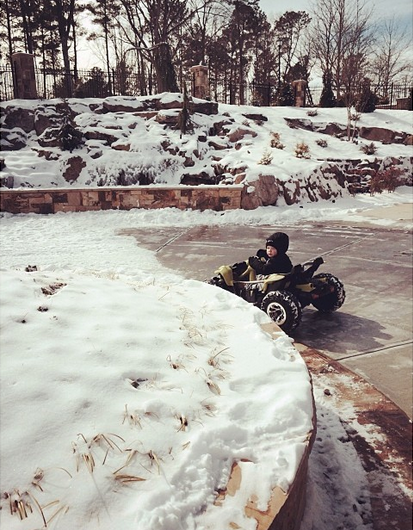 took his big wheel out for a spin on their icy driveway. 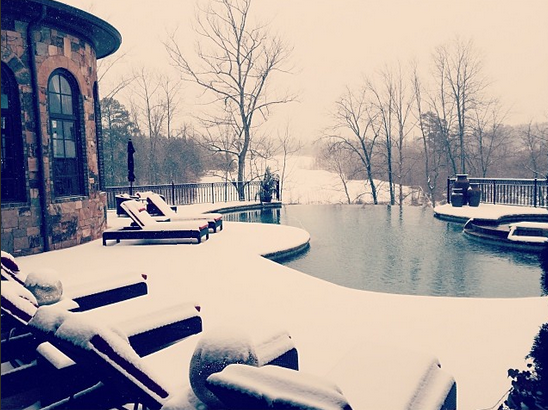 Kim also shared a picture of her beautiful backyard (on her foreclosed home) covered in a sheet of pure white snow. 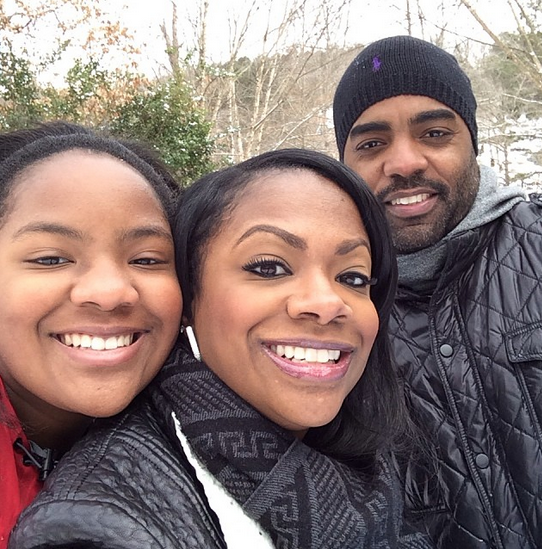 Kandi Burruss, her daughter Riley, and her fiance Todd enjoyed a day of sledding. 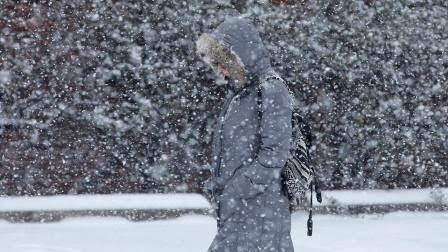 Keep warm and stay safe out there y'all!